Dolce & Gabbana the one - Eau De Parfum - Naturau Spray - Vaporisateur - 75 ml. Rediff Shopping brings to you a vast range of perfumes for both men and women. From earthy notes to citrus flavours, we have a perfume for all your preferences. Rediff Shopping is one place where you can choose from a variety of branded perfumes for men in all price ranges. What's best about these perfumes is that they are long lasting and can be worn on multiple occasions. The range of perfumes is extensive and will not burn a hole in your pocket. This makes Rediff Shopping an ideal platform to buy perfumes online. 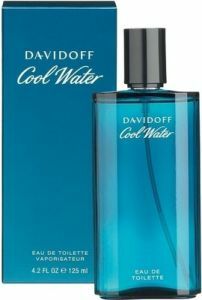 At Rediff Shopping, you can choose perfumes from brands like Davidoff perfumes, CK perfumes, Brut classic perfumes, Azzaro, CK and so on. If you are looking for a great perfume set for special occasions like birthdays and anniversaries, you have come at the right place. With multiple payment options, buying a perfume is very easy from Rediff Shopping.